Not one fair scene or kindly smile can this fond heart forget. Oh! steer my bark to Erin's Isle, for Erin is my home. 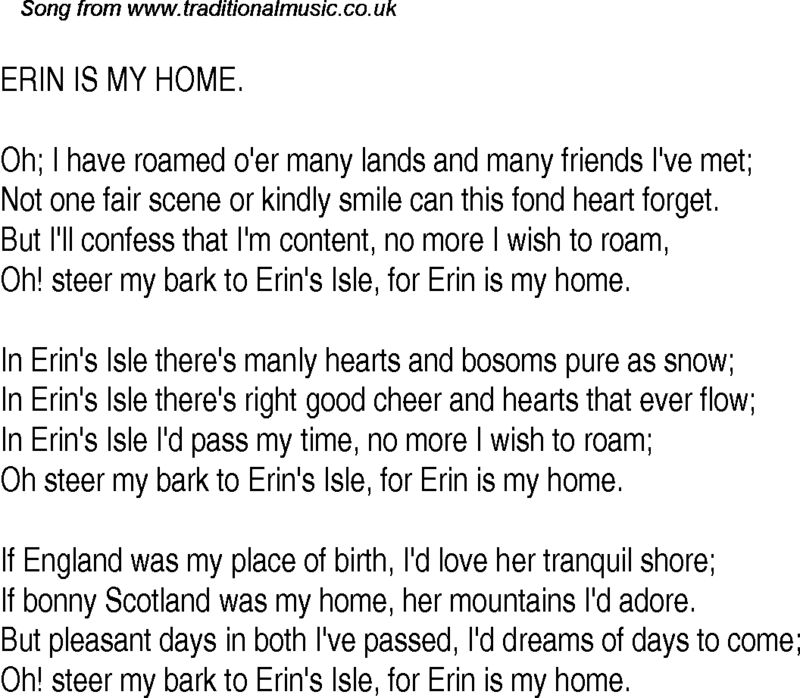 Oh steer my bark to Erin's Isle, for Erin is my home. If bonny Scotland was my home, her mountains I'd adore.